Paradigm Shift in Solar Power with Solar tiles – Let’s Welcome a Greener World! A Few Year’s Back it was a proposed ideology for generation of Power from our Eternal blessing, Sun. During my college days, Even we have worked on Solar Car Projects in which, we used a Photoelectric Panel and a Lithium Battery to store the charge to power a vehicle. It all seemed in an incubation period where the real functioning we thought would take up at least some decades, where we can see the Solar Technology booming, but to my disbelief just a few years later there has been Drastic changes in the Manufacturing Methods and the Engineering behind making the Solar Cells more efficient, cheaper, durable and easily available. Also, India just completed its biggest Solar Farm and also the World’s Largest Solar Power Plant situated In Tamilnadu; making it next to USA and China in the production of solar energy. 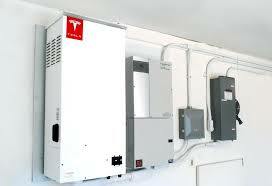 It has a capacity of 648Mw and covers area of 10 sqm km. i.e enough to power 15,000 homes for a year. 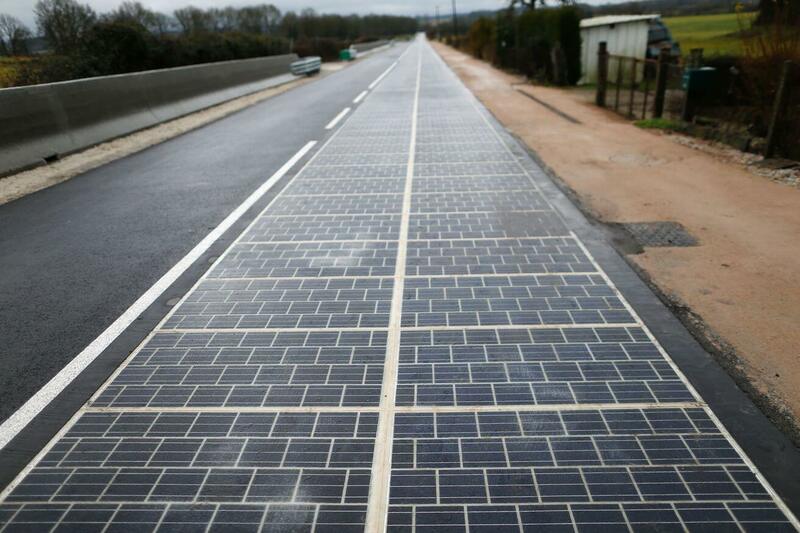 Even a technology marvel French have made a solar road with Photovoltaic panels covered in toughened glass alloy which powers the connected house with the roads. Also, it’s a prototype considering a 1 km road only has been put on and it’s known as ‘Wattway’ situated in the small town of Tourouvre-au-Perche. 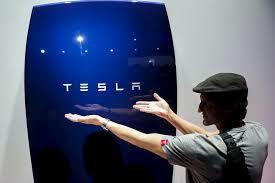 It can power 767kwh per hour which is sufficient for a small town of 5000 people. It is the World’s First Ever Solar Road, smart move by the Engineers to use up the idle space. 2. Inauguration Of the French Solar Road. 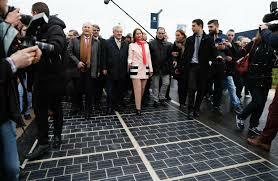 Inauguration Of the French Solar Road. 3. Solar Plant in Northern Chile. Solar Plant in Northern Chile. 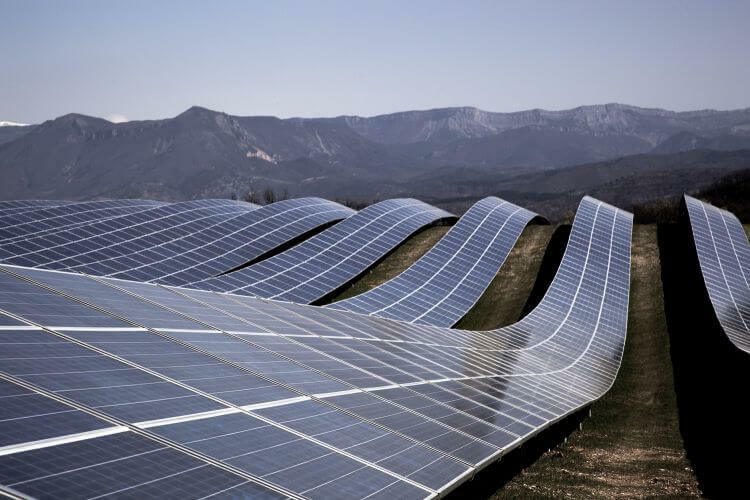 Chile has pioneered into the solar energy so much that it is now generating so much energy it is giving away for free to all the natives. Imagine a place where you won’t be charged for electricity! Hopefully, we won’t only dream off for our country as India is also becoming a big player. According to an analysis by BP power, India is the best country for solar power generation due to the Centre of The Equator passing between the country and we have a healthy 290 days of Sunshine which is among the highest compared to any other nations. But due to lack of general awareness and inability to quick adaptation to changes, has made the adoption rate quite slow over here. 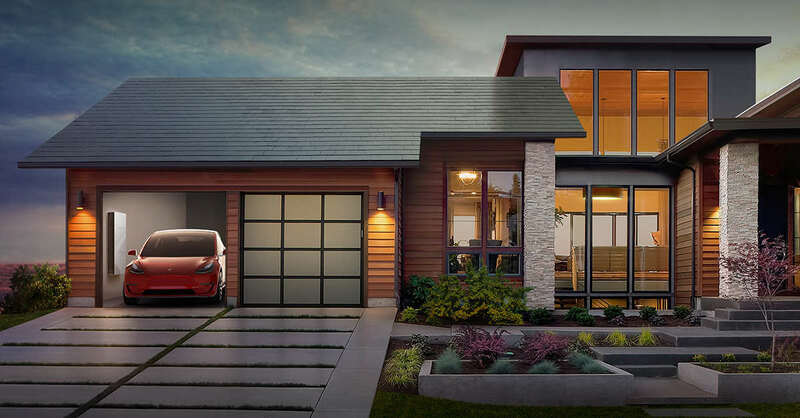 Tesla’s child Company SolarCity, one of the largest solar panels manufacturer in the USA, just unveiled a new kind of Solar tiles which are stronger than usual tiles and comes cheaper than them,also it doesn’t loose its aesthetics as it shall be noted that the tiles have hologram film which when viewed from sides give a view of a multiple choices of design but when on perpendicular view its a transparent film which lets the sun rays to get absorbed by its advanced filament plate of highly efficient solar cells,to store this solar power absorbed it has also got a high-density battery which can get the house totally off grid and also supply efficient power to run smoothly. 3. 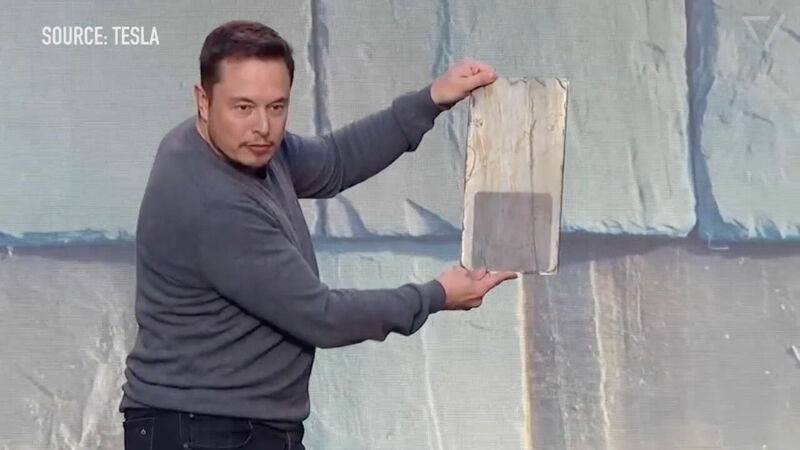 Various designs for Tesla tiles. 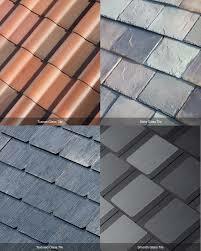 Various designs for Tesla tiles. It can also be monitored through your mobile of how much energy can be generated during the day and how much charge is left if all the appliances are running at the same time! How cool is that! Having a connected home totally off the power grids. All together we need to get into the jive of this solar technology and I do wish people participate more in the Greener Revolution as the Global Warming is reaching an alarming level. Recently in Antartica, a Manhattan-Sized iceberg just melted into the ocean which is why we all should get more aware of using our resources in the most optimized way. Do leave your views and ideas in the comment section below.